A major step, ahem, flight-connection-to-the-East for Betty Blocks. We recently formalized our first partnership in Japan, establishing our presence in Asia. We’re very excited to build an ongoing collaboration with Alnetz, the premier IT service and usability provider in Japan. As we continue our international expansion, we look forward to providing our users in Asia with the ease and efficiency of no-code application development. Alnetz provides progressive solutions from construction to operation utilizing IT technology. With a human-centric approach to software as a service, the company further provides IT education and training in the Japanese market. Through its business model, Alnetz focuses on a comprehensive service to its customers, involving ICT & software, production & hardware and education. Alnetz creates software with the client in mind by using the most suitable architecture for their customers. From developing software with core IT technology, Alnetz provides creative, effective hardware solutions. In addition to creating software and hardware, Alnetz provides education programs to train employees that can be immediately deployable for companies. Japan has been facing a significant decline in its population, and the numbers are continuing to fall. With a low birth rate, the stagnancy in demographics is affecting the economy in various ways. The percentage of young employees entering the workforce is dropping and as a result, the availability of new programmers is decreasing. The national government in Japan has been arranging for older employees to remain in the workforce longer and for companies to start automating processes. The state of the workforce in Japan has sparked the need for no-code organizations and employers. To address this lack of supply in the workforce, Alnetz has been seeking a no-code platform that enables anyone to create IT solutions. Alnetz aims to provide IT solutions, including the means to develop IT solutions. To prepare a new profile of developers, Alnetz offers education programs and trainings to prospective employees including kids and senior citizens. Despite a lack of programmers, all employees with any educational background and of any age, can create applications as solutions without requiring knowledge of coding. 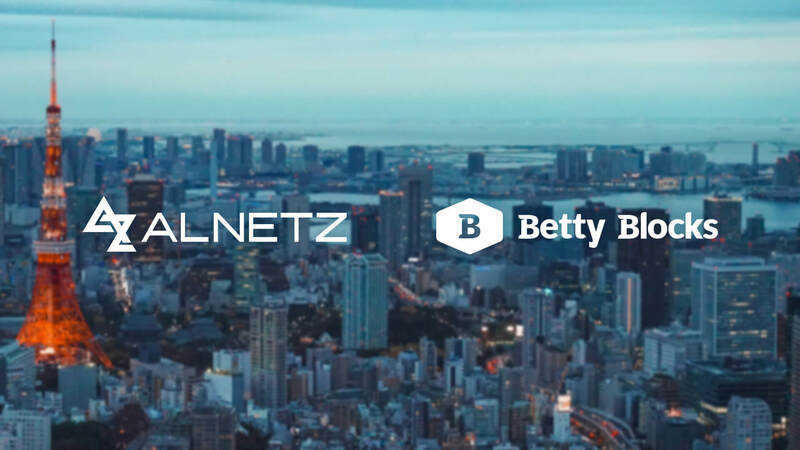 Alnetz found its high-productivity platform match with Betty Blocks. With our no-code application development platform, anyone can build applications and create the IT solutions they need easily, quickly and with flexibility. Betty Blocks and Alnetz became the perfect partners, sharing a strong bond over the importance of the customer. Both Alnetz and Betty Blocks understand that even in a technology-driven world, the human is the most important figure, the end-user. With our partnership, we set the customer as the number one priority in providing IT services. Betty Blocks is the only truly no-code platform for developing business, web and mobile applications efficiently and effectively. In today’s digital environment, Betty Blocks enables you to create the IT solutions you need without any restrictions by programming, technology or by societal challenges. With Betty Blocks, you can improve your productivity and empower your employees to find the right solutions now. Winner of the Holland Business Award and recognized as a leader in the Netherlands tech scene by G2 Crowd, Betty Blocks is validating its platform in the areas of security and customer satisfaction. They currently have offices in the Netherlands, Germany, US, UK, Japan and South Africa. Learn more about Betty Blocks here.